HyTest contact information | Hytest Ltd. 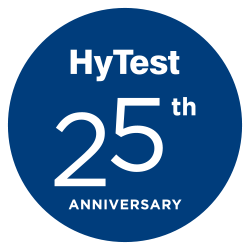 Please note that we are handling all the questions coming to hytest(at)hytest.fi, support(at)hytest.fi and via our website so there is no need to send the same question to several addresses. Product prices will be shown to you after you register to the site. This means you don't need to wait for quotes. You can make your order online by adding products to cart and checking out. We ship products worldwide. Create your account here. You can also get quotes easily from the website by using our quote cart. Quote cart is on every product page. Find product categories from product pages.